New Delhi : RSS chief Mohan Bhagwat's controversial comment on the Indian Army's preparedness for a war has triggered outrage among the opposition parties even as the saffron outfit said the remarks were being "misrepresented". On social media, opposition Congress and Left parties sought an apology from Bhagwat for the "insulting" remarks against the Indian Army even as an RSS statement said its chief never compared the army with his organisation. The RSS statement said Bhagwat told a gathering in Muzaffarpur on Sunday that in case of a war the Indian Army would take six months to prepare the society whereas RSS volunteers can be trained in three days because "Swayamsevaks practise discipline regularly". "This was no way a comparison between the Indian Army and the Sangh swayamsevaks but it was a comparison between general society and swayamsevaks. Both are to be trained by the Indian Army only," RSS spokesperson Manmohan Vaidya said. The RSS chief, who is in Bihar on a 10-day visit, was on Sunday quoted as saying that the outfit has the ability to prepare an army to fight for the country within three days, if such a situation arises and the Constitution permits. "The Sangh will prepare within three days which the Army would do in 6-7 months. This is our capability. 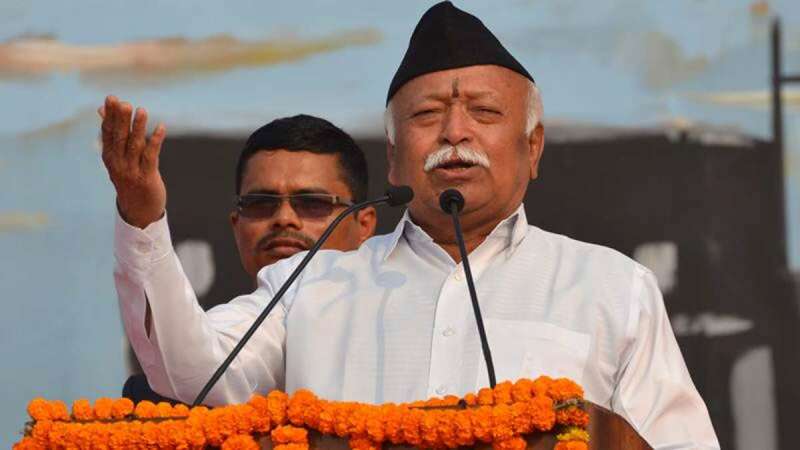 Swayamsevaks will be ready to take on the front if the country faces such a situation and the Constitution permits," Bhagwat told RSS workers at Zila school ground in Muzaffarpur. "The Rashtriya Swayamsevak Sangh is not a military organisation, but we have discipline like the military. If the country requires and the country's Constitution allows, the RSS is ready to fight on the borders against the enemy," he said. Congress President Rahul Gandhi said Bhagwat's speech was "an insult to every Indian because it disrespects those who have died for our nation. "It is an insult to our flag because it insults every soldier who ever saluted it. Shame on you Bhagwat, for disrespecting our martyrs and our Army." Congress MP Gaurav Gogoi said the comments were "brutally insensitive" particularly when the Army was battling militants in Jammu and Kashmir. "Our army is the bravest in the world. The RSS should apologise." CPI-M leader and Kerala Chief Minister Pinarayi Vijayan said Bhagwat's comments on the Indian Army were "in poor taste, against Constitutional propriety". "His statement exposes RSS' hidden agenda to float parallel militias to wreak havoc, crush national unity. Parallel army is talking about what we have always warned against. Hindu terror," the CPI-M leader said.